White Lion House, which forms part of the wider redevelopment of London’s listed Centre Point complex, has received a Civic Trust Award. 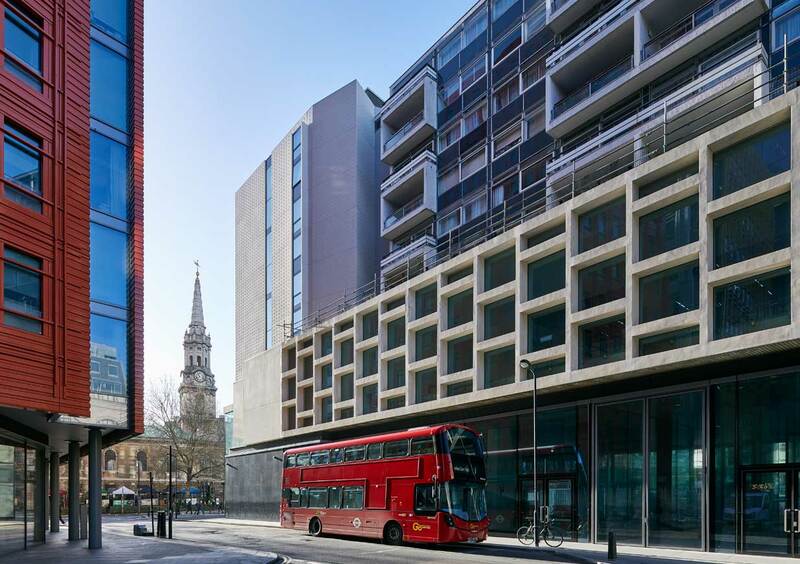 Eckersley O’Callaghan contributed Facade Engineering services for the ten-storey affordable housing block. The Civic Trust judges commented, “The building’s facades make sense of the site’s historic geometries with its form sculpted to offer precise massing in response to views within the conservation area. Facing both the exuberant modernism of Centre Point tower and the Palladian spire of St-Giles-in-the-Fields, the building negotiates the site’s complex history. “Built in concrete precast units [the facade] recalls the graphic appearance of Centre Point tower, embossed with a pattern developed in collaboration with London-based textile pattern designers Eley Kishimoto. The Hubert Perrodo Building, St Peter’s College, Oxford, received a Commendation. Eckersley O’Callaghan provided Structural & Civil Engineering services for the new university building, which has also picked up several other awards.